Placido Domingo as Simon Boccanegra. The tenor as baritone. The multi-talent Placido Domingo is loved by many but many think he is over-reaching himself. I found him wonderful as Simon Boccanegra but I must accept that had I only listened to him then I might have been more skeptical. The Magic of Placido Domingo was in his abilty not only to sing each note but to do so while acting. Placido Domingo was Simon Boccanegra that night in Zurich. 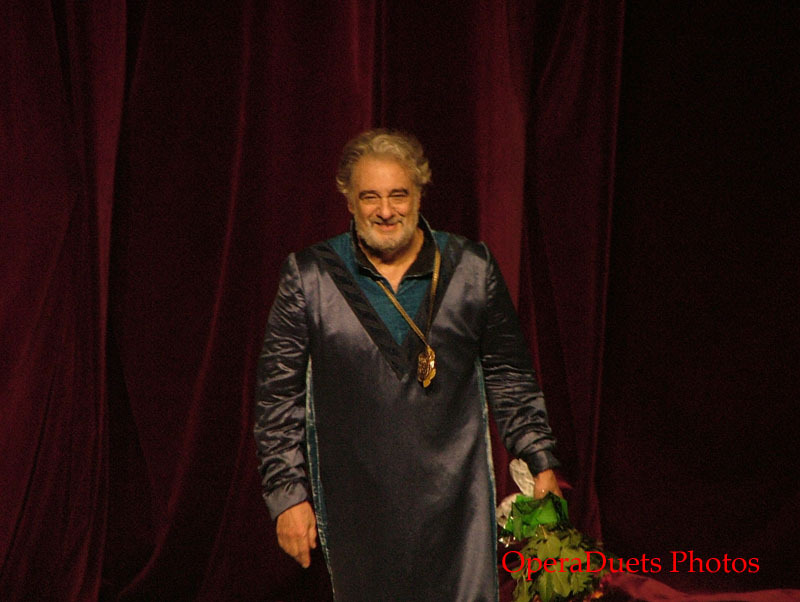 Pure baritones may sing it more beautiful but in acting Placido is a gigant. Cheyne Davidson sang Paolo Albiani in stead of earlier mentioned Massimo Cavalletti. Cheyne Davidson and Giuseppe Scorsin sanf Paolo and Pietro. Something made me feel that they were not quite up to par. Paolo lacked his bite and bile. Pietro was a deep-voiced but no depth. Luckily they are not that important except that done properly they do give some extra depth to the story. Otherwise it would just be a family drama and not a political drama. Placido Domingo clad in brown in the Prologue and he looked just like an old photo of Placido as Otello. So young he was as he lept on stage. And it was with Placido Domingo the opera really started to energize. Next energy burst came with Carlo Colombara as Jacopo Fiesco. The great Italian bass owned the stage during his great aria. 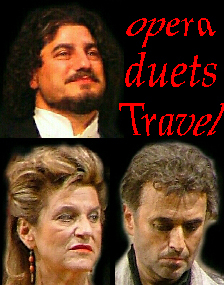 Then two gigants Fiesco and Boccanegra, Colombara and Domingo, and wow, what an amazing duet. A duel between the fury of Fiesco and the compassion of Boccanegra. Act 1 and finally Barbara Frittoli as Amelia. She was stunning. Her voice and acting was amazing. I found her jsut perfect as Amelia. Beauty and style in every ounce. Fabio Sartori was her lover Gabriele Adorno. (This tenor is not a thin man but for once the costume people had chosen cloths that looks good on the not-so-thin people. I hope this is a trend that one will create costumes that looks good on all body-types. But I fear this is knowledge that is forgotten, REVIVE IT PLEASE.) Fabio Sartori has a wonderful tenor voice and was an amazing Adorno. And what to say more. Act 2 and 3 was wonderful. The sets are beautil and the costumes too. It is a stilistic Genoa we see with the blue sea in the background. During the duet between Boccanegra and Amelia I cried and the end made me cry too. I am sure was weepy during other times of the opera. For me it meant that this SIMON BOCCANEGRA was great. It touched me. Placido Domingo touched me.